Rising into the air is always a majestic experience, but it’s something that isn’t possible unless each aircraft instrument is working smoothly. Superior Plastics knows this, which is why they have at their disposal equipment that can make vitally-needed aircraft instruments plastic injection molding parts. What they create not only makes the right instruments, but makes them at an economical price that works for all parties concerned. Injection molding is a standard part of many industries, since making those same parts with metals or some other product would make the overall expense too costly for even companies with a solid bottom line. Yet another financial boon to using aircraft instruments plastic injection molding parts made by Superior Plastics relates to their lightweight approach, which allows an airplane to get better gas mileage. If some of these parts aren’t working, that means a company has expensive dead weight on their hands with their inactive plane. That’s why they need available parts for either their overall construction in the first place or mechanical repair crews that will be able to quickly replace the faulty part. In both situations, the parts need to be as inexpensive and accessible as possible. The intricate instruments and screens within a cockpit that pilots need in order to know what’s going on all have bezels or frames that surround them for a more organized and professional look. They’re formed through this process, as are panels where these instruments are actually placed. Those instruments also require injection molding products that can accommodate drastic changes in temperatures during the course of a flight, as well as the heat coming from the plane itself. That means the instruments themselves need to have a protective coating, and the sturdy plastic injection molding that we offer can do the job. 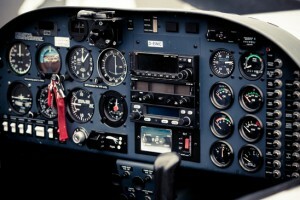 This can work for such things as altimeters, the plane’s compass, the directional gyro and carburetor-related functions. None of these areas can afford to use substandard products, which is why we take such great care in making them in precision fashion. So if you’re a company that deals in aircraft instruments plastic injection molding products, the company you need to be working with is Superior Plastics. We have 34 years of experience in this field and can help make your schedule so much easier by offering competitive prices that are often hard to beat. We can be reached either at 817-882-9595 or online.